In the heart of Midtown at the corner of Woodward Avenue and Alexandrine Street lays Midtown Rx Pharmacy. 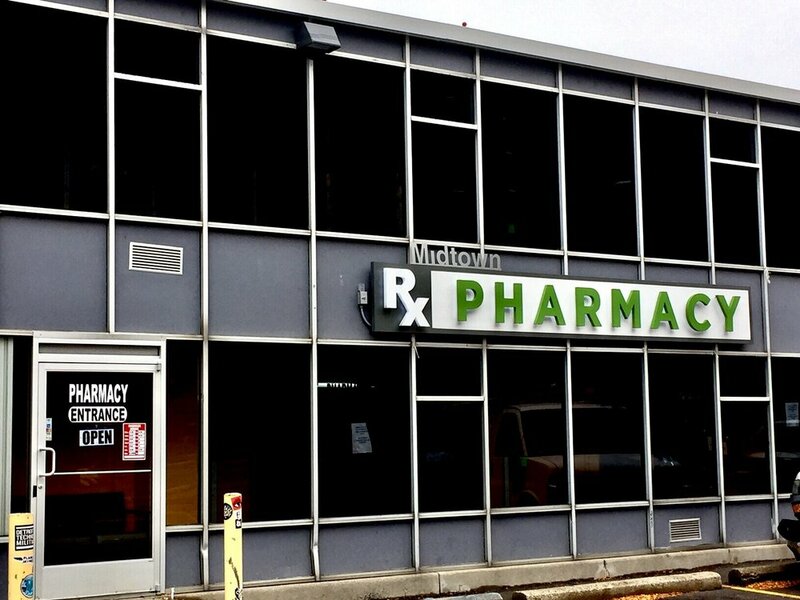 Midtown Rx Pharmacy opened in January of 2016 as Midtown’s newest pharmaceuticals store. Though definitely not the first pharmacy in the area (the business is merely a few blocks from much larger competitors like CVS and Rite Aid), Midtown Rx Pharmacy chose its location in the center of Midtown with a very specific purpose: to provide more personal care. Mike Srour, Pharm.D., is the owner and operating pharmacist of the business; we sat down with Mike to learn more about his mission. Srour had previously worked for a larger chain corporation with a familiar name and a steady customer influx. However, he felt one-on-one time with his patients often took a backseat to enhance speed of delivery and numbers of prescriptions filled. Srour decided to leave his pharmaceutical job at this larger company in an affluent neighborhood to instead set off on his own in the city of Detroit. Almost immediately after beginning his business in Midtown, Srour noticed significant differences in his patient demographic. He found that many of his new customers in Detroit often didn’t know which prescriptions they were taking. Formerly, at the suburban pharmacy, most patients understood what each of their drugs were meant for and which drugs could or could not be taken together. In Midtown, Srour discovered that far more of his patients did not have a primary care physician or even insurance and could only describe their maintenance prescriptions as “the red pills.” He also encountered more patients experiencing homelessness than he had previously, many of whom were unsure of how to even administer their own medications. Srour has recognized, however, that his new position as owner and operator of his own pharmacy affords him the opportunity to prioritize patient education and affordable care. Dedicated to these principles, he works six days a week and provides free home deliveries. On top of this, Srour finds time to sit down with his patients and explain to them what prescriptions they are taking. He employs medication therapy management to help his patients stay on track of all the medications they need. These business practices represent a change in approach from the larger corporate chain that formerly employed Mr. Srour. Competing with larger corporate chains has not been without its share of difficulties. As a private owner, reimbursements go down, and thus volume must go up. The location of the pharmacy has also proven challenging at times: individuals come in with fake scripts looking for narcotics, and Srour even experienced a break-in earlier this month. However, despite these obstacles, Mike Srour has found a distinct need for affordable pharmaceuticals, and he strives to provide the most personal care he can to his patients. After recognizing the need for pharmaceuticals here in Detroit, Srour began working with Street Medicine Detroit to help provide our patients with appropriate medications. “Sometimes homeless people will stop taking their maintenance medication because it’s the last thing on their minds of stuff to worry about,” he noted. Srour will often personally deliver the pharmaceuticals to the shelter to make sure everyone is taken care of and fully educated on what their prescription entails. Though it was difficult to build a patient base in the Midtown area (with several other competing pharmacies nearby, as well as pharmacies operating within the hospitals themselves), Srour has found a loyal following in the area, in part due to his philanthropic nature. Apart from assisting Street Medicine Detroit, Srour works with uninsured individuals on a case-by-case basis to see if he can provide the most cost-effective option for people to acquire their medications. Though he can’t provide a free pharmacy, he works hard to make medication affordable for those who are struggling and focuses heavily on educating all his patients regarding the details of their pharmaceutical regiment. We asked Mike Srour what made him leave his comfortable suburban corporate pharmacy, open a pharmacy in Midtown Detroit, and take on the challenge of serving a much more impoverished community. “I wanted to do something different. I didn’t just do it for the money; I wanted to have a more direct contact with my patients. There’s a huge difference in the way that you can treat patients when you run things yourself. You can spend that extra time and explain things to them in a way that they will understand,” he said. This quote captures the selfless drive that motivates Srour to help Street Medicine Detroit serve our patients, and more importantly, empower the people of Detroit to improve their health.